If you’ve ever seen the Wizard of Oz, there’s a line spoken by Dorothy when she realizes she and her lovable dog are in uncharted territory...“Toto, I’ve a feeling we’re not in Kansas anymore.” That awareness of difference comes early at Improving. Spend some time with us and you’ll soon realize we aren’t your usual IT company. Walk into the break room at any of our Improving offices and you’ll notice plenty of tasty treats hanging around and plenty of open seating. Look harder and you'll see two fully functional kegs and a stocked wine fridge. The ample food and drink in the common room are very intentional and there's a similar set up in most Improving offices as well. In a company very team and task-focused, having one communal space that provides the opportunity for all Improvers to gather ensures that the accountants know the UXers and the dev teams can talk to an agile coach. Our success is a consequence of our collective Involvement and much of that involvement begins by sharing food and laughter in the kitchen. During January's Thirsty Thursday, Improvers got to pour an extra special brew. 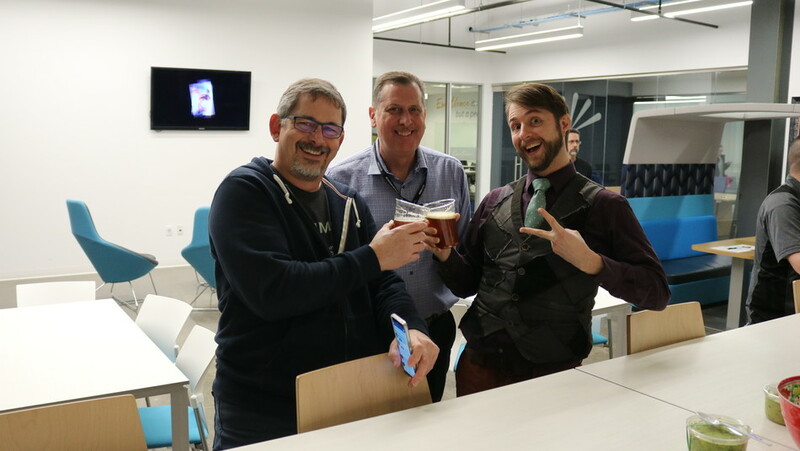 This last Thursday, during the monthly Improving-Dallas Thirsty Thursday happy hour, principal consultant by day and home-brew maestro by night, Barry Forrest, debuted something incredible in the Improving kegs. Something that not only tastes great, but is helping to drive change. When the devastating Campfire forest fire raged around Chico, California the nationally known, and Chico-based brewery Sierra Nevada was spared corporate damage, but many of their employees and loved ones lost everything in the blaze. In response to the massive financial need the area now has, Sierra Nevada created the Resilience Butte County Proud IPA where 100% of the profits generated from this beer will be donated to area’s current and future reconstruction efforts. Sierra Nevada also shared the recipe publicly with breweries and home brewers alike, asking them to make a batch, share their creation, and give to the fund. "I thought that brewing a batch to serve at the office was a great way for me to be more involved. What better way to bring my technology community with me?" That’s where Barry comes in. Since December 8th, he has been brewing the Resilience IPA for the Improving kegs. "A friend posted on Facebook that he was going to brew a batch and collect donations for the relief fund," Barry said. "Inspired by his action, I thought that brewing a batch to serve at the office was a great way for me to be more involved. What better way to bring my technology community with me?" 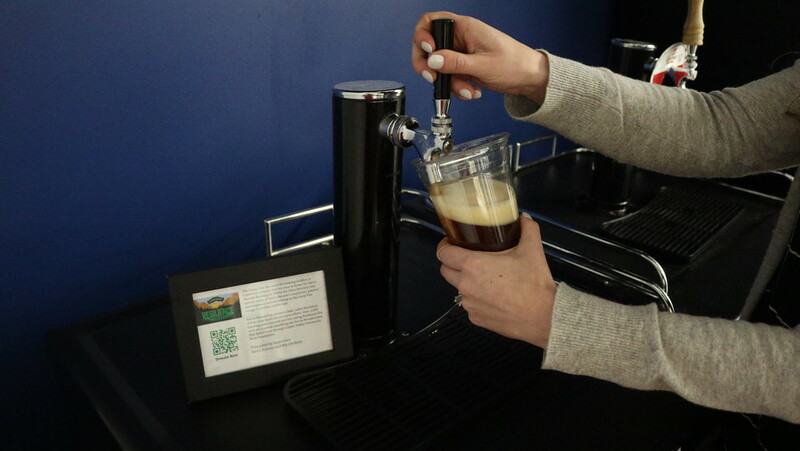 While the snacks and beverages in the Improving-Dallas break room have always been free to Improvers and visitors alike; Barry is asking those who enjoy his creation give to Sierra Nevada’s fundraising efforts. As of January 10th, the Resilience IPA will be available, as long as it lasts, on tap in the Improving-Dallas kitchen. Details about the fundraiser and how to give are posted in the kitchen. If you can’t stop by for a drink, you can learn more about Sierra Nevada's efforts here and donate here. Barry and fellow consultants Kirk McClure and Daniel Mason toasted to a great beer on January 10th. How can we help on your next project?